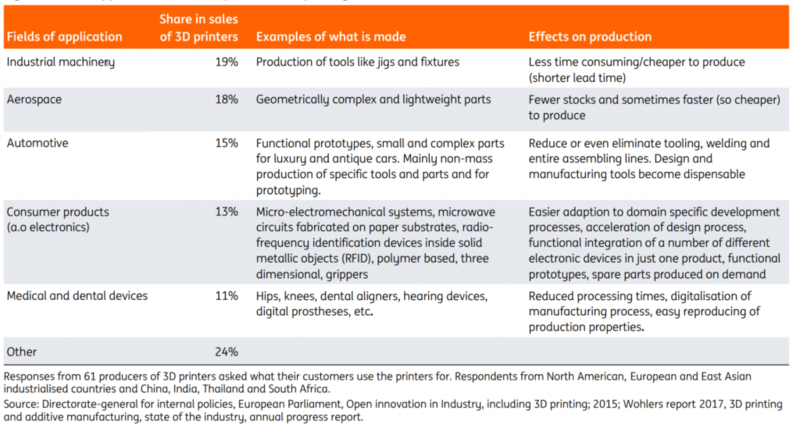 The ING report, “3D Printing: a threat to global trade” predicts that U.S. imports will decline, easing a trade deficit with countries including China, Mexico and Germany, locally printed car parts will increase jobs at US-based automotive factories and most boldly that “50% of manufactured goods will be printed in 2060” – or possibly as early as 2040. 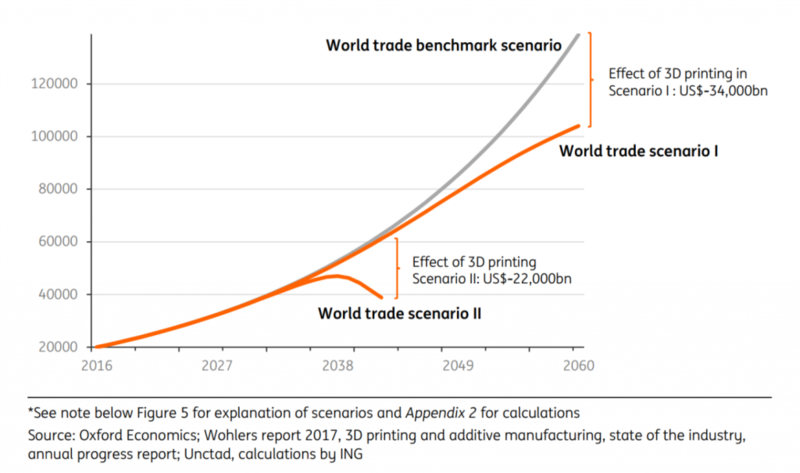 Scenarios for effect of 3D printing on world trade (goods and services) (US$bn). Graph via ING. 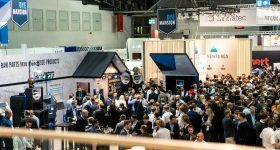 According to ING most consumers, even if aided by “innovations in artificial intelligence”, will not want to become a prosumer. 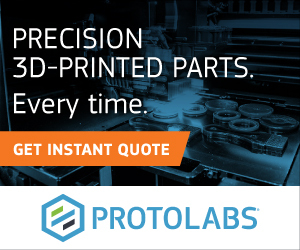 Instead production companies aka 3D printing bureaus will cater to this demand. Drawing on a number of sources, including the 2017 Wohlers’ Report the ING report was also aided by several interviews. These include Adwin Kannekens, a sales director at Wilting, a company who machine metal. Kannekens said that in the long run 40-50% of revenues at Wilting will come from work done with a 3D printer. 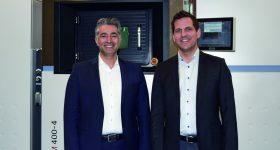 Ultimaker CFO, Eric Sas, was interviewed and agrees with Kannekens saying that in manufacturing industries a market share of 5-10% over the next decade is the limit. 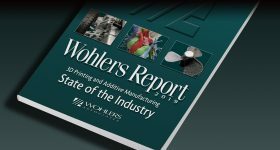 Citing worldwide expenditure on 3D printers and related services as US$6.6bn for 2016, the reports contrasts this with worldwide private investments in traditional machinery of US$6,700bn – a figure 1000 times greater. To reach the figures for 2060 the ING report takes the annual growth rate for investment in 3D printing as above 29% over the past five years versus the 9.7% invested in traditional machinery. The annual difference in investment growth between these figures – i.e. 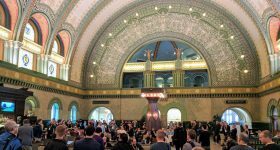 19% – is then applied to the current nominal value of investment in each technology group – i.e. US$6.6bn for 3D printing and US$6,700bn for traditional machinery. As anyone familiar with 3D printing will note at this point – this is problematic. 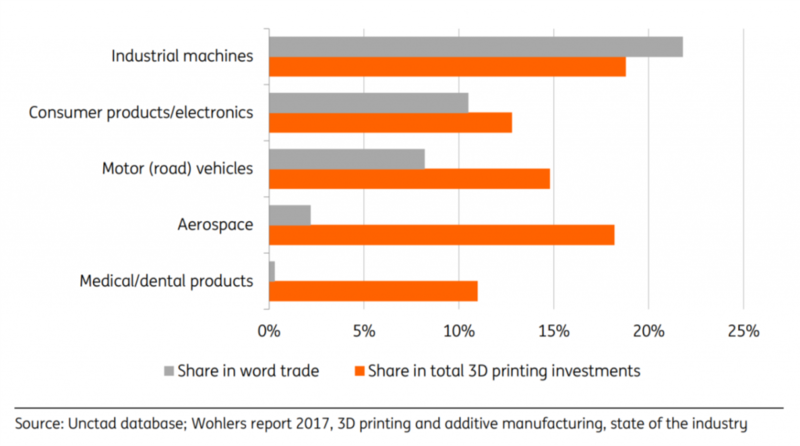 Industry shares in world trade and shares in investments in 3D printers, 2016. Image via ING. 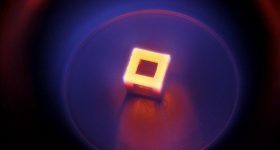 How “disruptive” is 3D printing? 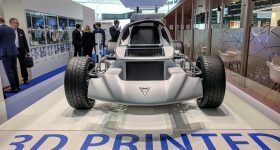 If the 29% growth rate is accepted – which not everyone in the 3D printing industry would agree with – this still leaves the issue of whether a fixed investment in 3D printers will yield the same output as that investment in traditional machinery. 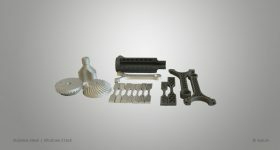 In one camp, there are those who will identify one of the headline attractions of 3D printing – the decrease in waste material when compared to subtractive manufacturing. 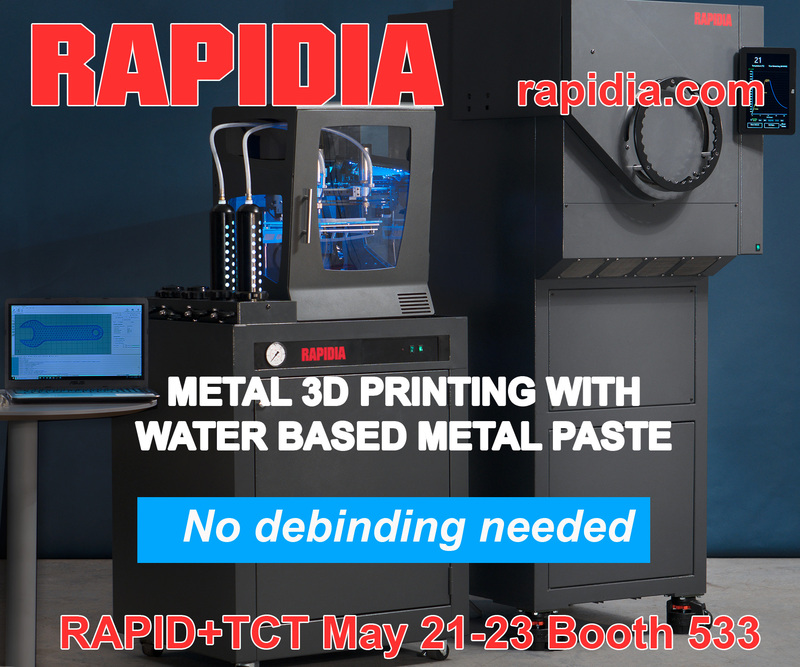 In the other camp, there are those who work with 3D printers and are aware of the reality of support materials, powder reuse percentages and the skill required to design for additive manufacturing. 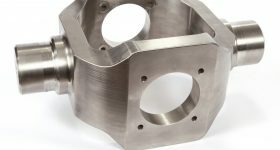 Either way, it seems jarring to assume that $1 invested in 3D printing will produce the same value of goods as $1 investing in traditional machinery such as a CNC mill or injection molding. 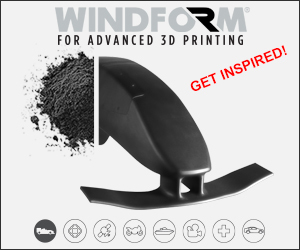 For starters, why would a manufacturer choose 3D printing over traditional – and proven methods – if not for a gain. 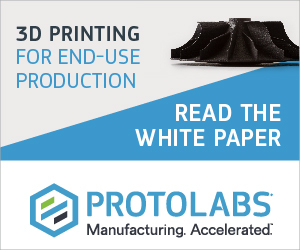 Certainly the time saved by 3D printing a sports shoe midsole (while only in the minutes and seconds range) is a figure significant enough to warrant the shift in manufacturing processes – and associated risks – at least for one company. 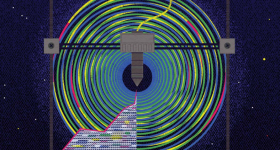 To account for additional and unknowable factors such as how “disruptive” 3D printing is, ING offers an alternative scenario assuming, “that the rate of investment in 3D printers will double after five years and the rate of investment in traditional machines will fall by a third after ten years.” This gives a parity position by 2040. While such forecasts do provide quick headlines for non-specialist publications such as the FT, for my money I’ll be watching this week’s Blade Runner 2049 for what might be happen in the coming 30 to 40 years. 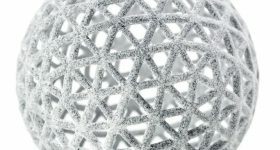 For more insights into the 3D printing industry, subscribe to our free newsletter and follow our active social media accounts. Featured image shows Gaff’s Origami Unicorn from Blade Runner. Photo by Shapeways user Andromeda Trade Collective.